March 8, 2017 – We’ve updated the Home Designer product library with 50 new pieces of furniture, all with our Replace Materials feature. Plus we’ve added over 50 new tiles to the materials library. Read on to learn all about this great product update! All we can say is “WOW”! 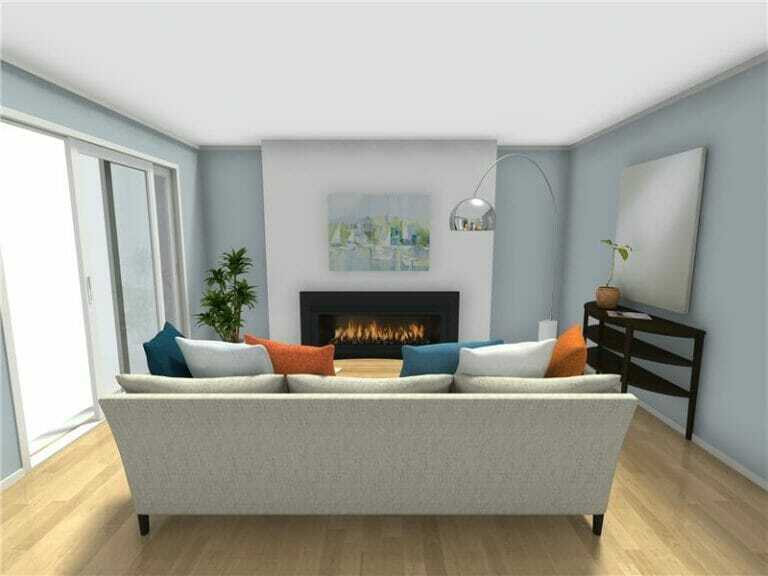 Now it’s even easier to create beautiful home designs and floor plans with customizable furniture and fixtures. We’ve added over 50 new pieces of furniture and furnishings to make your home designs even better. You’ll find new beds, nightstands, dining tables, dining chairs, desks and more. We’ve also added new home furnishings such as carpets, curtains, throw pillows and bathroom accessories. All with our powerful Replace Materials feature. With Replace Materials, you can change the materials on items. Try out different fabrics and finishes to find the perfect look for your home. Match existing pieces of furniture easily or create your own custom versions. You can even apply custom colors, using the custom color picker. Replace Materials is available to RoomSketcher VIP and Pro subscribers. Want to learn more about this exciting feature? Learn more about Replace Materials. More than 50 new tiles patterns! We’ve added over 50 new tile patterns to the Home Designer materials library. You’ll find loads of great new options that are perfect for kitchens and bathrooms. Experiment with different types of subway tiles, penny tiles, marble tiles, patterned tiles and more. Plus, we’ve made it easier for you to find and search for tiles based on size, pattern and color. You’re going to love how they look! The new tile selection is available to our Pro subscribers. Open RoomSketcher Home Designer and check out all the new products today! The new products are available in Home Designer on PC and Mac, as well as in the Home Designer tablet app. Check out our Plans and Pricing!